The Magnavox Odyssey is the first commercial home video game console. It was developed by a small team led by Ralph H. Baer at Sanders Associates and released by Magnavox in the United States in September 1972 and overseas the following year. The Odyssey consists of a white, black, and brown box which connects to a television set, and two rectangular controllers attached by wires. It is capable of displaying three square dots on the screen in monochrome black and white, with differing behavior for the dots depending on the game played, and with no sound capabilities. Players place plastic overlays on the screen to create visuals, and the one or two players for each game control their dots with the three knobs and one button on the controller in accordance with the rules given for the game. The Odyssey console came packaged with dice, paper money, and other board game paraphernalia to go along with the games, and a peripheral controller—the first video game light gun—was sold separately. The idea for a video game console was thought up by Baer in August 1966, and over the next three years he, along with Bill Harrison and Bill Rusch, created seven successive prototype consoles. The seventh, known as the Brown Box, was shown to several manufacturers before Magnavox agreed to produce it in January 1971. After releasing the console in September 1972 through their dealerships, Magnavox sold between 69,000 and 100,000 units by the end of the year, and 350,000 by the time the console was discontinued in 1975. The console spawned the Magnavox Odyssey series of dedicated consoles, as well as the 1978 Magnavox Odyssey². One of the 28 games made for the system, a ping pong game, was an inspiration for Atari's successful Pong arcade game, in turn driving sales of the console. Baer's patents for the system and the games, including what was termed by a judge as "the pioneering patent of the video game art", formed the basis of a series of lawsuits spanning 20 years, earning Sanders and Magnavox over US$100 million. The release of the Odyssey marked the end of the early history of video games, and the rise of the commercial video game industry along with the start of the first generation of video game consoles. The Odyssey consists of a black, white, and brown oblong box connected by wires to two rectangular controllers. The primary console box connects to the television set through an included switchbox, which allows the player to switch the television input between the Odyssey and the regular television input cable, and presents itself like a television channel. The controllers, which are designed to sit on a flat surface, contain one button marked Reset on the top of the controller and three knobs: one on the right side of the controller, and two on the left with one extending from the other. The reset button does not reset the game, but instead is used by different games to reset individual elements, such as making a player's dot visible after it is turned off during a game. The system can be powered by six C batteries, which were included. An optional AC power supply was sold separately. The Odyssey lacks sound capability and can only display monochrome white shapes on a blank black screen. Internally, the Odyssey architecture is composed of digital computing parts. The circuitry is implemented in diode–transistor logic using discrete transistors and diodes, rather than the newly emerging transistor–transistor logic integrated circuits, due to cost concerns. The games themselves do not use ROM cartridges like later consoles, but instead use "game cards" composed of printed circuit boards that plug into the console. These cards modify the internal circuitry like a set of switches or jumpers, causing the Odyssey to display different components and react to inputs differently. Multiple games use the same cards, with different instructions given to the player to change the style of game. The Odyssey is capable of displaying three square dots and a vertical line on the screen. Two of the dots are controlled by the two players, and the third by the system itself. The main console has two dials, one of which moves the vertical line across the screen, and one which adjusts the speed of the computer-controlled dot. Different games direct the player to adjust the dials to different positions, for example to change the center line of a tennis game into the side wall of a handball game. The games include plastic overlays which stick to the television via static cling, to create visuals for the game. Different games that use the same game card can have different overlays, which can change a game with the same controls from, for example, a mountain ski path to a movement-based Simon Says game. In addition to the overlays, the Odyssey came with dice, poker chips, score sheets, play money, and game boards much like a traditional board game. One peripheral controller was released for the Odyssey, the first video game light gun. Named the Shooting Gallery, the rifle-shaped device registered a hit when pointed at a light source such as a dot on the television screen. Four shooting-based games were included with the light gun. In 1951, while working for military contractor Loral Electronics, engineer Ralph H. Baer was assigned to build a television set; while doing so, Baer claims he had the idea to build something into a television set that the owner could control, rather than only hooking it up to a remote television station. Baer did not pursue the idea, but it returned to him in August 1966 while waiting for a bus. Baer, then the head of the Equipment Design Division at military contractor Sanders Associates, came up with the concept of using a television to play games, and the next morning wrote up a four-page proposal for a US$20 "game box" that would plug into a television screen and play games on it. While the commercial video game industry did not yet exist at that point, the very first electronic computer games had been developed at the start of the 1950s, and by 1966 several early mainframe games had been developed for mainframe computers, which were typically only found in large academic or research institutions. In the proposal, Baer began by referring to the project using military terminology, but by the time he finished it he was referring to it as Channel LP, short for "let's play". The proposed device would transmit a signal that the television set could tune into as if it were a television channel, and Baer described several games that could be played on it. As Channel LP had little to do with the typical military contracts Sanders worked on, rather than bring the idea to his bosses Baer instead commandeered an empty room and assigned one of his technicians, Bob Tremblay, to work on it with him. By December 1966 an initial prototype later christened "TV Game #1" was completed, which could display and move a vertical line on a television screen. Baer demonstrated the prototype to the Sanders director of research and development, Herbert Campman, who hesitantly agreed to fund it for US$2,000 of labor and US$500 for materials, making it an official project. Baer spent the next few months designing further prototypes, and in February 1967 assigned technician Bill Harrison to begin building the project. Harrison spent the next few months in between other projects building out successive modifications to the prototype. Baer, meanwhile, collaborated with engineer Bill Rusch on the design of the console, including developing the basis of many games for the system. The first game was developed by May, a two-player game where the players repeatedly press a button in competition to fill or empty a bucket of water, and by June multiple games were completed for what was then a second prototype box. These included a game where players controlled dots chasing each other and a light gun shooter game with a plastic rifle. Baer demonstrated the new prototype to Campman, who enjoyed the shooting game, increased funding, and recommended Baer demonstrate the project to senior management. Baer demonstrated the console to the board, who were largely uninterested, though a couple of members were enthusiastic; nevertheless, CEO Royden Sanders authorized the project to be continued with the aim of selling or licensing the console as a commercial product. By August 1967, Baer and Harrison had completed a third prototype machine, but had found that to even come near to Baer's initial aim of a US$20 or $25 console would require so much to be excluded that the resulting console would not be very enjoyable. Baer additionally felt that he was not proving successful at designing fun games for the system; to make up for this he formally added Bill Rusch, who had helped him come up with the initial games for the console, to the project. Though the pair found Rusch difficult to work with, he soon proved his value to the team by coming up with a way to display three spots on the screen at once rather than the previous two, and proposing the development of a ping pong game. By November the team, now on their fourth prototype machine, had a ping pong game, a chasing game, a light gun game, and three types of controllers: joysticks for the chase game, a rifle for the light gun game, and a three dial controller for the ping pong game. Campman felt that the system was advanced enough to begin trying to find a manufacturer to buy it; they had decided to aim for selling the rights to produce the console, as Sanders was not in the business of making and selling commercial electronics. The Odyssey was packaged with board game accessories like dice and play money, as well as game cards. The team first approached the cable television industry, and the prototype attracted the attention of TelePrompter Corporation, who had seen it during a visit. After a few months of talks, cash-flow problems forced TelePrompter to back out in April 1968. The same economic downturn that caused TelePrompter's problems caused financial difficulties at Sanders as well, which put the project on hold after the fifth prototype was developed while simultaneously undergoing large-scale layoffs. It was picked up again in September, this time without Rusch, and went through two more iterations resulting in January 1969 in the seventh prototype, known as the "Brown Box" due to the wood-grain stickers on the casing. With the system now largely complete, Baer and Harrison were unsure who to approach to sell it until a Sanders patent attorney recommended contacting television manufacturers. Baer demonstrated the system to several companies, who all expressed enthusiasm; only RCA was willing to purchase the device, however, and an agreement could not be reached. Soon afterwards, though, RCA executive Bill Enders left RCA for Magnavox and convinced them to look at the console again. The three creators of the Brown Box again demonstrated the device to Magnavox in July 1969; they received a tepid reaction from most of the executives, but Vice President of Marketing Gerry Martin was in favor and Magnavox agreed to produce the console. After a long period of negotiations the two companies finally signed an agreement in January 1971. The Odyssey consisted of 10 daughter-cards that were connected to the motherboard, and the game cards only rewired the circuit for different game modes. Magnavox designed the exterior of the machine, and re-engineered some the internals with some consultation from Baer and Harrison; they removed the ability to display color, used only the three dial controller, and changed the system of selecting games from a dial to separate game cards that modified the console's circuitry when plugged into the console. At the time, color televisions were still seen as a luxury item, and the ability to show color would have added additional expense and time spent dealing with FCC testing and regulations. The internal circuitry had been designed with discrete components rather than integrated circuits due to cost concerns; these concerns were no longer valid by 1971, but Magnavox did not have enough time to redesign every internal component of the machine prior to the planned production start date. 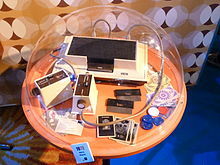 Magnavox named the console first as the Skill-O-Vision while testing, and then released it as the Odyssey. The rifle game was turned into a separately sold add-on game, Shooting Gallery, and Magnavox added paper money, playing cards, and poker chips to the console, to go along with the plastic overlays for the games that enhanced the primitive visuals. The new additions helped raise the price of the console to US$99.99. Baer was upset with the board game additions, which he felt were pointless add-ons that would go unused by players. Magnavox announced the system's launch date of September 1972, and demonstrated it for months prior to Magnavox dealerships and media. Magnavox began advertising the Odyssey in mid-September 1972, including an appearance on the game show What's My Line? on October 16, 1972. As neither Pong nor the term "video game" existed, the company described the console as "the new electronic game of the future" and "closed-circuit electronic playground". After ordering 50,000 units, prior to release Magnavox increased its production capabilities and built a larger inventory, as market testing found an enthusiastic response to the console. The Odyssey was sold only through Magnavox dealers; the company hoped that as the first such product, consumers would visit its stores. The device retailed for US$99.99, or US$50 when purchased with a Magnavox television. There are conflicting reports between Baer and Magnavox employees as to whether Magnavox produced 120,000 or 140,000 consoles in 1972; additionally, Odyssey product manager Bob Fritsche recalled selling 69,000 units that year, while Baer recalled sales being closer to 100,000. Baer stated that he felt the low initial sales were due to the high price—US$100 is the equivalent of US$587 in 2017—and because of Magnavox restricting sales to its dealerships and implying that the device only worked with Magnavox televisions. Other sources have stated that dealers misled customers to sell more televisions, though advertisements explicitly stated that it worked with any set. Customers unfamiliar with the new device may have misunderstood Odyssey's interoperability. Magnavox assistant product planner Don Emry said that the sales were in line with the original projections, if not with the production run. According to Baer, after the initial holiday season Magnavox considered dropping the console, but the modest continuing demand the following year convinced them to manufacture an additional 27,000 units for the 1973 holiday season, selling 20,000 of them. The console was also released in 12 other countries: Australia, Belgium, France, Germany, Greece, Israel, Italy, the Soviet Union, Spain, Switzerland, the United Kingdom, and Venezuela, with different games. In late 1973 Magnavox ran a large advertising campaign for all of its 1974 products, including sponsoring Frank Sinatra's November television special Ol' Blue Eyes Is Back. Commercials during the special and advertisements for it showed the Odyssey and other Magnavox products. The company sold 129,000 Odyssey units in 1974, or 150,000 according to Baer. Magnavox discontinued the console after 1975; according to Baer it sold 350,000 units in total worldwide, though statements by Fritsche indicate it may have been higher. The light gun peripheral sold 20,000 units. 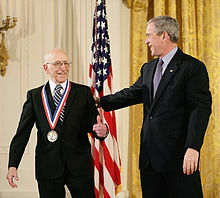 Ralph Baer being given the National Medal of Technology in February 2006. As the Odyssey was discontinued Magnavox released the first successive dedicated consoles—consoles that could only play games built into the system—in the Magnavox Odyssey series, the Odyssey 100 and Odyssey 200, as part of the first generation of video game consoles; the Odyssey 100 was only capable of playing the ping pong and hockey games from the original Odyssey. Eleven dedicated Odyssey consoles were produced before a true follow-up console in 1978, the Magnavox Odyssey². While it showed the potential of video game consoles and marked the end of the early history of video games and the beginning of the commercial video game industry, the Odyssey is not generally considered a major commercial success. 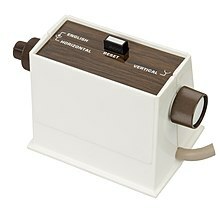 Magnavox produced no more games for the console after 1973 and rejected Baer's proposals for an add-on that would add sound to games, a putting controller and associated golf game, and console variants that would have been cheaper or supported up to four players. While a few clone systems were produced in limited quantities, and multiple dedicated systems—generally focused on ping pong game variants—were created by several companies, no other true home video consoles were produced until the 1976 Fairchild Semiconductor Channel F.
In 2004 Ralph Baer was awarded the National Medal of Technology for "his groundbreaking and pioneering creation, development and commercialization of interactive video games, which spawned related uses, applications, and mega-industries in both the entertainment and education realms". In June 2013, the Museum of Modern Art (MoMA) added the Magnavox Odyssey to its permanent collection of video games. MoMA's Paul Galloway described the console as "a masterpiece of engineering and industrial design" and stated that it was "hard to overstate the importance of [Ralph Baer's] place in the birth of the industry". The Brown Box prototype and the TV Game #1 prototype are located at the Smithsonian Institution's National Museum of American History in Washington, D.C.. In May 1972, Nutting Associates chief engineer Nolan Bushnell, designer of the first commercial arcade video game, Computer Space, saw a demonstration of the Odyssey at a dealership. Inspired, when he quit Nutting to start his own company, Atari, he assigned Allan Alcorn to create a cheap ping pong arcade game as a training exercise, though he did not tell Alcorn that it was for training nor that the idea was based on the Odyssey Table Tennis game. Alcorn soon developed Pong, which Bushnell recognized as a potential hit, and it became the company's first game. Pong was very successful, and in turn helped drive sales of the Odyssey; Baer once noted that customers bought the console because of Table Tennis, in turn because of Pong, and joked that they may as well have stopped designing games after that game card. In 1974, however, Magnavox sued Atari along with several competitors including Nutting, Allied Leisure, Bally Midway, and Williams Electronics for infringing on Baer's patents for video games played on a television screen. Baer has stated that the lawsuits were not filed right away because Magnavox and Sanders needed to wait until they could expect to be awarded more money than it would cost to pursue the suits. The root of the conflict was a pair of patents by Baer—one which described how the Odyssey showed player-controlled objects, or dots, on a video monitor and described a number of games that could be played with the system, and an earlier one that went into detail about how the Odyssey used that system to have two dots collide with each other and have one bounce off, specifically using a game of ping pong as an example. The judge ruled that Baer's more general patent for the Odyssey constituted "the pioneering patent of the video game art", and held the defendants' games as infringing the patents. Atari settled early on in the court case with Magnavox, and in return were granted a license in exchange for US$1.5 million and access granted to Magnavox to all technology produced by Atari from June 1976 to June 1977, while the other defendants paid higher penalties. Over the next twenty years, Sanders and Magnavox sued several other companies over the issue, focusing on "paddle-and-ball" type games like Pong and Table Tennis that were more clearly related to the ping pong game patent; the final lawsuits ended in the mid 1990s. Defendants included Coleco, Mattel, Seeburg, and Activision; Sanders and Magnavox won or settled every lawsuit. Many of the defendants unsuccessfully attempted to claim that the patents only applied to the specific hardware implementations that Baer had used, or that they were invalidated by prior computer or electronic games. In 1985, Nintendo sued and tried to invalidate Baer's patents, claiming as prior art the 1958 Tennis for Two game built by William Higinbotham. The court, however, ruled that the oscilloscope-based game did not use video signals and therefore did not qualify as a video game, and ruled again in favor of Magnavox and Sanders. Magnavox won more than US$100 million in the various patent lawsuits and settlements involving the Odyssey related patents. In addition, they had a large number of licensees of patents, with over one hundred already by the mid 1970s. A total of 28 games distributed on 11 different game cards were released for the Magnavox Odyssey. 13 games were included with the console—a set of 12 in America and a different set of 10 in other countries—with 6 others available for purchase either individually for US$5.49 or in a pack for US$24.99; the additional games primarily used the same game cards with different screen overlays and instructions. Another game, Percepts, was available for free to players that sent in a survey card. A light gun accessory, Shooting Gallery, was available for purchase, and included four games on two cards that used the rifle. A final four games were released for sale in 1973, designed wholly or in part by Don Emry. The games do not enforce game rules or keep track of score; that is left up to the players. ^ a b c d Langshaw, Mark (2014-12-13). "Magnavox Odyssey retrospective: How console gaming was born". Digital Spy. Hearst Corporation. Archived from the original on 2016-05-04. Retrieved 2016-05-04. ^ a b c d e f g h i j k l m n o p q r s Smith, Alexander (2015-11-16). "1TL200: A Magnavox Odyssey". They Create Worlds. Archived from the original on 2016-02-02. Retrieved 2016-04-25. ^ Knowles, Kitty (2015-03-25). "A history of videogames: the defining moments from Nimrod to now". British GQ. Condé Nast. Archived from the original on 2015-09-28. Retrieved 2016-01-14. ^ a b c d e Baer, Ralph H. "Genesis: How the Home Video Games Industry Began". Ralph H. Baer Consultants. Archived from the original on 2015-10-16. Retrieved 2015-01-26. ^ a b c d e f Smith, Alexander (2015-10-30). "The Baer Essentials". They Create Worlds. Archived from the original on 2016-02-02. Retrieved 2016-04-25. ^ a b c Bub, Andrew; Fulton, Steve (2005-06-07). "The Original GamerDad: Ralph Baer". GamerDad. Archived from the original on 2006-02-13. Retrieved 2006-11-10. ^ a b "The Great Videogame Swindle?". Next Generation. No. 23. Imagine Media. November 1996. pp. 67–68. ISSN 1078-9693. ^ a b c d Willaert, Kate (2018-01-10). "In Search of the First Video Game Commercial". Video Game History Foundation. Archived from the original on 2018-01-12. Retrieved 2018-01-12. ^ a b c d Baer, Ralph H. "How Video Games Invaded The Home TV Set". Ralph H. Baer Consultants. Archived from the original on 2016-04-24. Retrieved 2014-01-26. ^ "Magnavox Surge". Billboard. Nielsen Business Media. 1973-12-22. p. 47. ISSN 0006-2510. ^ "Maganvox Sinatra $9 Mil Push". Billboard. Nielsen Business Media. 1973-09-29. p. 44. ISSN 0006-2510. ^ a b c Jackson, Bebito. "The "Odyssey" of Ralph Baer: Interview w/ the Father of Videogames". Diehard GameFan. Archived from the original on 2016-05-02. Retrieved 2010-05-14. ^ "The National Medal of Technology and Innovation 2004 Laureates". United States Patent and Trademark Office. 2004. Archived from the original on 2016-04-16. Retrieved 2016-05-03. ^ Campbell, Colin (2013-06-28). "MoMA adds Magnavox Odyssey and six classics to game design exhibit". Polygon. Vox Media. Archived from the original on 2016-03-22. Retrieved 2016-05-04. ^ "The Father of the Video Game: The Ralph Baer Prototypes and Electronic Games". National Museum of American History. Archived from the original on 2016-05-04. Retrieved 2016-05-04. 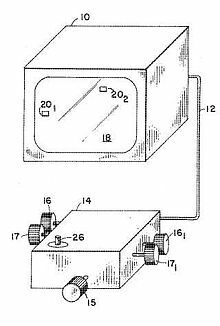 ^ "Magnavox Patent". The New York Times. 1982-10-08. Archived from the original on 2016-03-04. Retrieved 2007-02-25. ^ "Magnavox Settles Its Mattel Suit". The New York Times. 1983-02-16. Archived from the original on 2016-03-13. Retrieved 2007-02-25. ^ Mullis, Steve (2014-12-08). "Inventor Ralph Baer, The 'Father Of Video Games,' Dies At 92". National Public Radio. Archived from the original on 2016-03-22. Retrieved 2016-05-03. Goldberg, Marty; Vendel, Curt (2012-11-25). Atari Inc.: Business Is Fun. Syzygy Press. ISBN 978-0-9855974-0-5.